2nd ODI Adelaide: 'Why Not Coffee?' 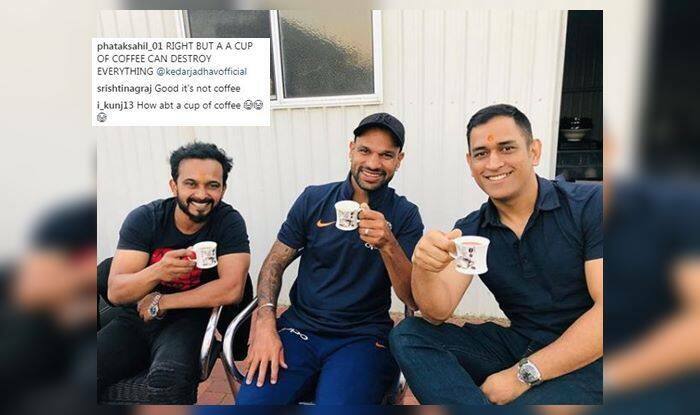 Fans seemed to warn the trio of former skipper MS Dhoni, allrounder Kedar Jadhav, and India opener Shikhar Dhawan when a picture of them bonding over a cup of tea surfaced on the internet. It was the first time in 82 years that Team India cricketers had to be sent back in between an overseas tour for disciplinary reasons. Here is how fans reacted to the picture, some fans warned them to stay from coffee, whereas some fans asked them, why are they not having coffee.